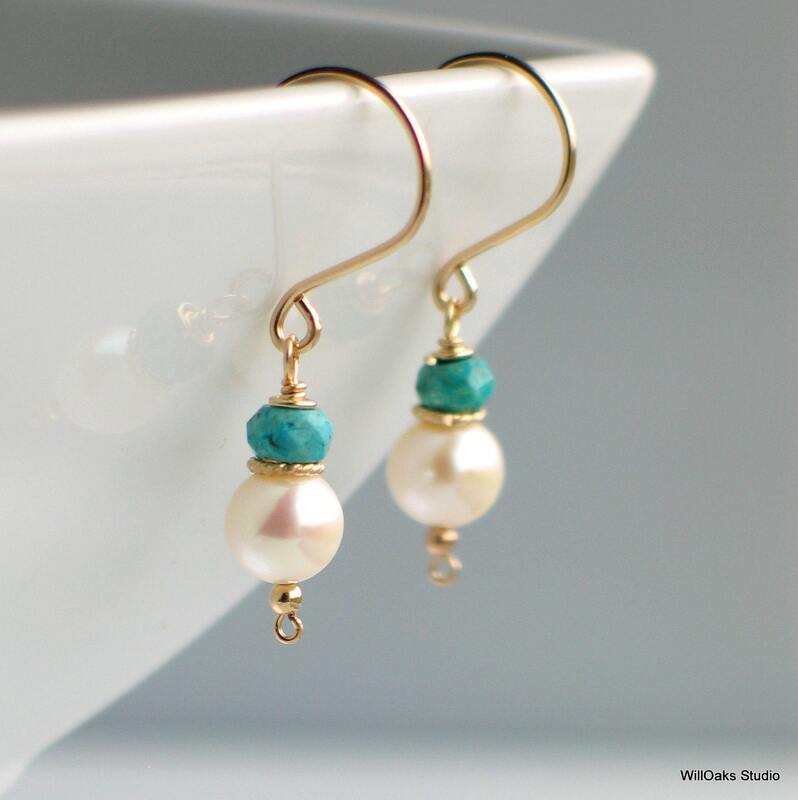 Lustrous white freshwater pearls topped with faceted turquoise rondelles feature a textured gold or silver ring at the juncture. 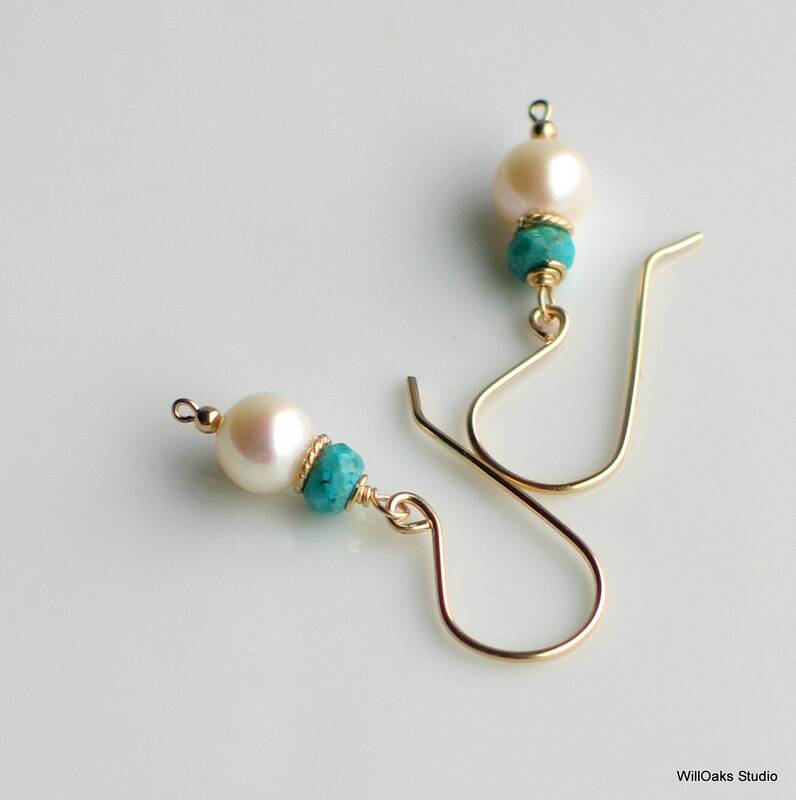 They dangle from hand made ear wires and can be made in gold, or shiny or oxidized sterling silver; select at check out. 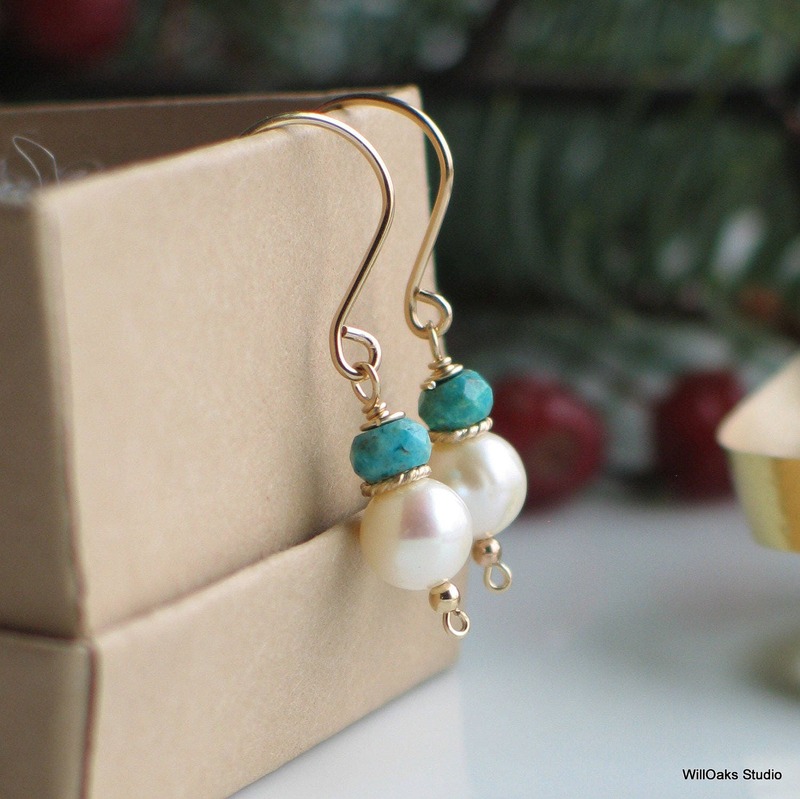 Enjoy a pair of "not quite classic" pearl earrings for yourself or as a unique gift. 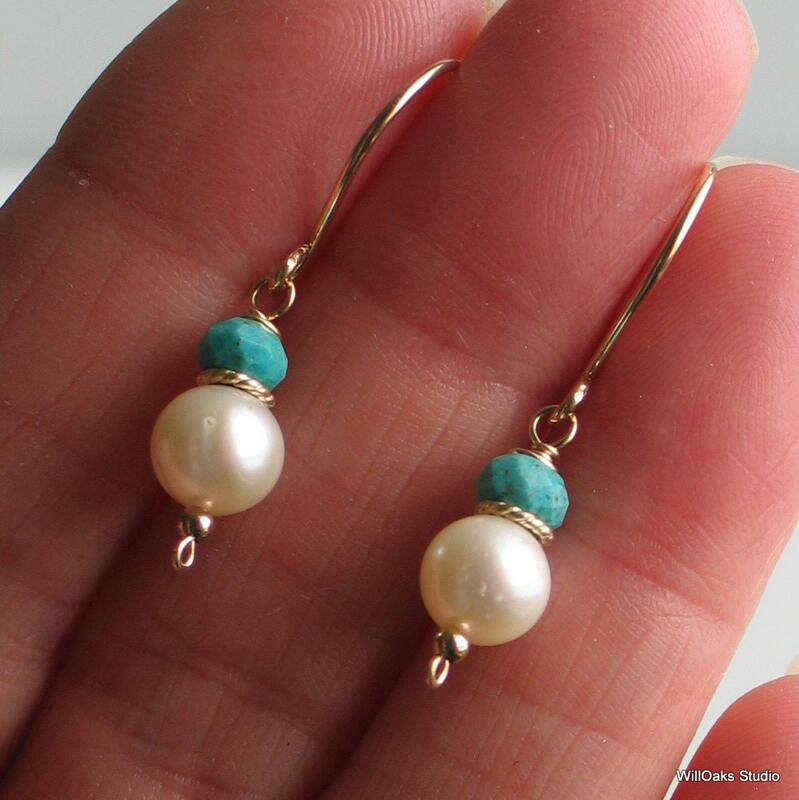 White freshwater pearls are between 7 and 8mm in diameter. A golden circle of textured wire, hand shaped from gold filled wire, sits between the pearl and the gemstone. If ordered in silver, this circle will be made from Sterling silver. Hand formed 20 gauge ear wires are tumbled for strength and shine. Earrings measure just under 1 3/8" (34mm) long from the top of the ear wire. Earrings are packaged in my signature boxes, all ready to give. 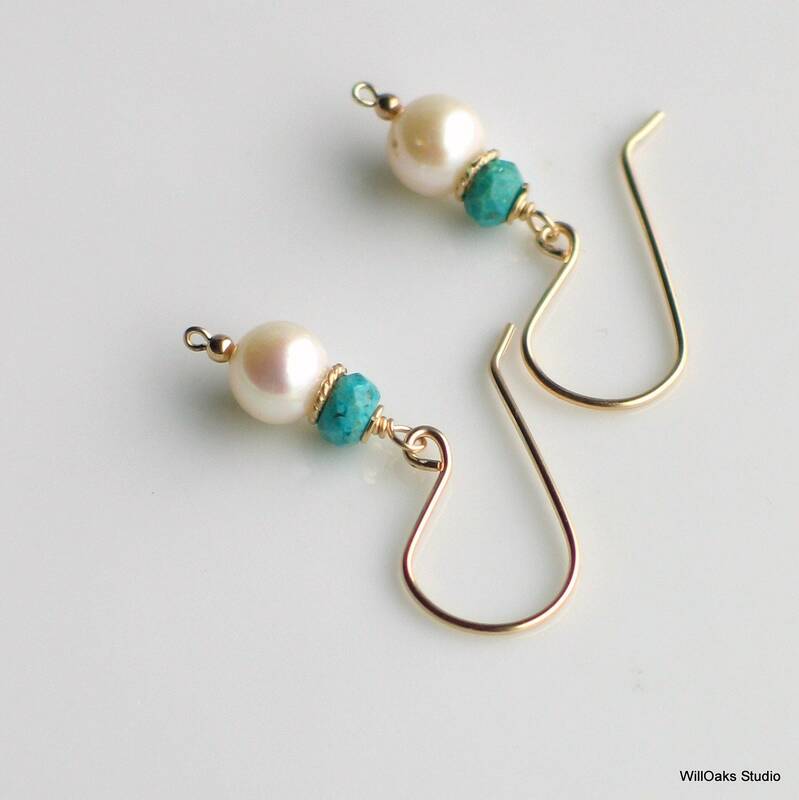 Please visit more of my studio here https://WillOaksStudio.com and thank you for stopping by!